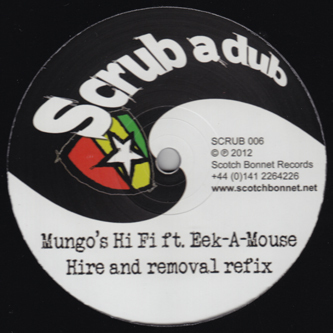 Special request from Mungo's Hi-Fi's Scrub-A-Dub imprint on some hybrid 'ardcore steppers mission. 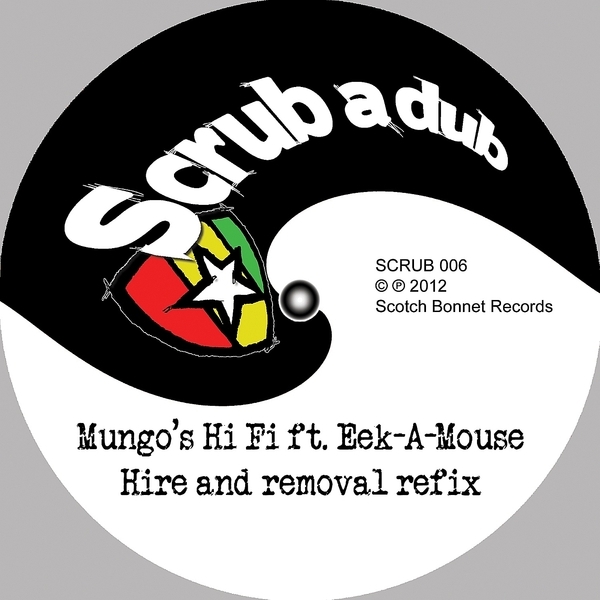 Their refix of Eek-a-Mouse's '82 Dancehall staple 'Hire & Removal' is a pure wickedness built with strongback jungle breaks and bulldozing bassline and putting the original vocal to mad use. On a slower, ruder manoeuvre, Solo Banton & Ruben Da Silva link with Mungo's Hi-Fi for a drunken master style only for test by black belts Scots.